The French government says it wants to dismantle the Grande-Synthe refugee camp, built by Doctors Without Borders (MSF) charity near the port of Dunkirk “as soon as possible” after camp residents clashed with police earlier this week. “It's no longer just a question of the restoration of public order” in the camp, Interior Minister Bruno Le Roux said. He spoke of “unacceptable” behavior by some migrants, who demand “ransoms” and “loans” for use of the camp's facilities by other residents, and “restrict access” to showers. The Grande-Synthe is home to some 1,500 people, most of them Kurds from Iraq. “It cannot go on,” Le Roux said on Wednesday at a French senate hearing. He noted that he wants the dismantling of the site to start “as soon as possible,”20Minutes.fr reported. On March 14, riot police clashed with around 200 migrants who gathered at the entrance to the camp to express their discontent following the distribution of new inviolable bracelets enabling access to the Grande-Synthe humanitarian camp. “They arrived in front of the wire netting, shouting ‘No bracelet, no bracelet!’” a security guard told Le Phare Dunkerquois. The mayor of Grande-Synthe, Damien Careme, meanwhile told AFP he had no clue of the government's plans to demolish the facility, touted as France's only “international standard” camp when it first opened its doors last year. “I'm very surprised and I don't agree,” Careme told AFP, adding that there had been some minor violence during a demonstration Tuesday night, which did not justify the closure. “You can easily see that we play an essential role [in helping migrants and refugees], and I don't see how you can stop this,” he added. 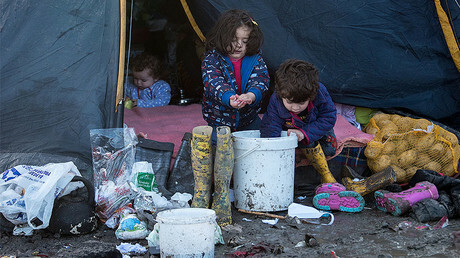 “I want the population of the camp to go down to some 700 people,” the mayor told daily French newspaper Libération. “This will allow everyone to breathe a little.” There is no question of the camp being dismantled. To achieve this objective of 700 people, Careme hopes the state could provide some residents with accommodation at temporary facilities where those who apply for asylum in France stay. The Grande-Synthe camp was quite easy to build, and the mayor’s office set aside some €400,000 ($430,000) for the project while MSF contributed €2.7 million, and a local volunteer organization agreed to manage the camp over the long term, France24 reported. The camp's wooden cabins opened in March 2016. 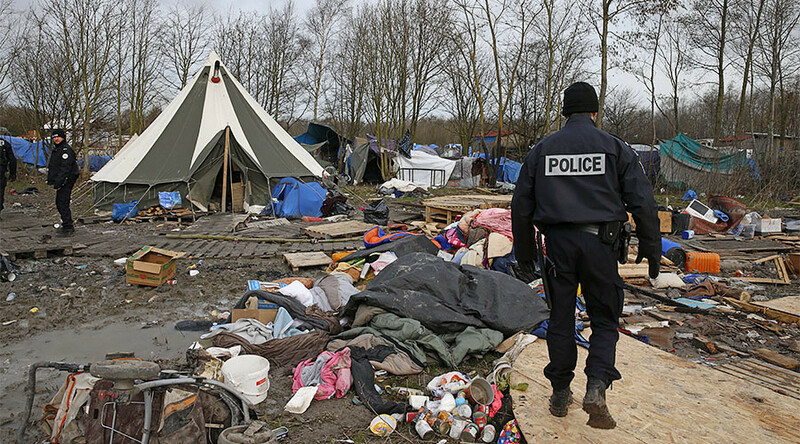 Fierce clashes erupted between migrants and police in October when operation to demolish the Calais ‘Jungle’ camp, home to up to 10,000 migrants, regularly risking their lives in an attempt to break into the Channel Tunnel and reach the UK, began in the northern French port town. Camp-dwellers hurled rocks and other objects at security forces, with a thick plume of black smoke rising up over the camp.